Time at one of our all-time favorite sites starts today. 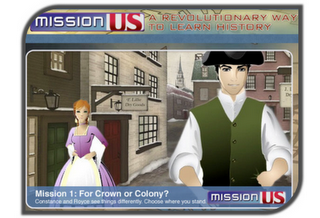 Mission US, For Crown or Colony, is today's activity. We complete the Prologue section, then we blog as if we were the main character, Nathan Wheeler.